Q. I’m going to retire in a few years and I’m in a long-term relationship, but I’m not married. What are the pros and cons of marrying before or after retirement? A. If you marry before you retire, your spouse will have certain protections that a spouse you marry after retirement will not have. In the table below, I have assumed that you are covered under FERS. If an area is not listed in the table that means there are no differences as to whether or not you marry before or after retirement. A spouse is entitled to a full survivor benefit and their signed, notarized consent is required for anything less. If you were to die before you retired, a spouse would be entitled to a full survivor benefit as long as you have been employed under FERS for at least 10 years and have been married at least 9 months at the time of your death. A significant other has no entitlement to a survivor benefit of any size. You are able to elect one for a spouse within two years of your marriage; but you are not required to. A post-retirement marriage election is more costly than providing a benefit for a spouse you are married to at retirement, and the 9 month marriage duration requirement must be met. You also might be able to elect an insurable interest survivor benefit for a non-spouse. An insurable interest benefit costs more and provides a smaller benefit. 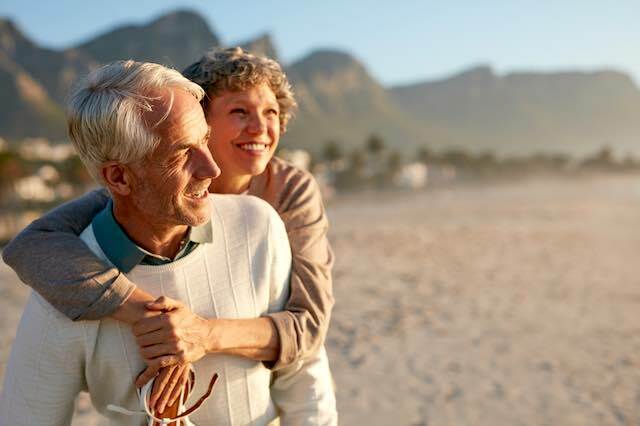 If you were to die before you retired, your significant other would not be entitled to any survivor benefit, though (if they were your beneficiary) they would receive a refund of your retirement contributions as long as no other monthly benefit is payable (e.g., former spouse, eligible child, etc.). If spouse is covered by FEHB at your death (self + one or self and family) and you have elected a survivor benefit, they will be able to continue FEHB coverage. If you die before retirement and your spouse is entitled to a survivor benefit, he/she can continue enrollment in FEHB. Marriage is a qualifying life event that lets you add your new spouse to your FEHB. As long as your spouse is covered by FEHB and you have elected a survivor benefit, they can continue FEHB coverage after your death. Thrift Savings Plan You need your spouse’s signed, notarized consent for anything other than a certain type of TSP annuity. If you predecease your spouse (and your spouse is your beneficiary) he/she will be allowed to keep the money in the TSP by a “beneficiary participant account”. If you marry before beginning distributions from the TSP, you will need your spouse’s signed, notarized consent for anything other than a certain type of TSP annuity. If you die before marrying (and your significant other is your beneficiary), they will not be able to leave the money in the TSP.